Volition Review: Beautiful art carries familiar science fiction story – AiPT! 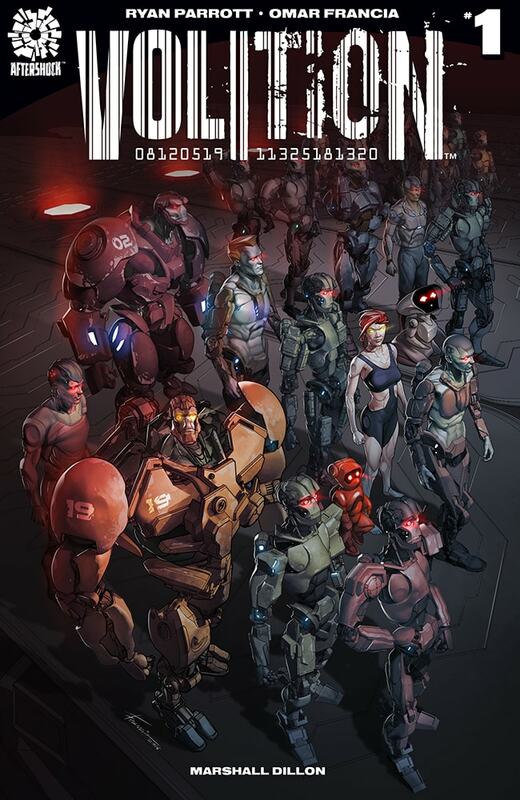 Volition is set in a future where man and robot are still trying to find a way to live together. Volition drops the reader into a familiar setting. It is the distant future and robots live among men. After beginning their existence as slaves, they developed sentience and yearned for something more. Things move in a slightly different direction at this point. Of course, there is great struggle and turmoil for the robots to get equal rights, but as writer Ryan Parrott almost jokingly points out, it is not as violent as we may expect. Volition has a hot opening. The reader does not just learn how robots became free, the first pages of the book are a recap on their history. This is a staple of science fiction as it set its futuristic tone. What makes this comic distinct is the fantastic teaming of writer Ryan Parrott and artist Omar Francia. The duo’s work together ensures the cliched opening does not bore the reader. Parrott’s writing is a mix of science fiction colloquialisms and everyday talk. Instead of being bombarded by constant techno babble that flies over their heads or modern slang that that feels out of place, readers are presented with vernacular that sees terms like “spec scrambler” side by side with words like “thingy.” It is a common writing tactic that many times can ruin a story. Parrott integrates this manner of speaking so well, that it not only makes Volition an easy read, it is also hardly noticeable. Francia’s beautiful art highlights the book. The details in the faces are incredibly well done. Amber 7-T’s introduction is a mixture of awe and happiness. Robots are drawn with expressions that rarely change yet but still show they are capable of free thought. Towards the end of the book, there are a number of well done close up of multiple characters that add to the drama of the situation. Francia also serves as the colorist on Volition and his work is nothing short of amazing. The pages burst with color with many of the pages looking like a storyboard for a Hollywood production. Even during the book’s darker prologue, Franica uses bright contrasts. Eyes glow, light shine through a window, or a vid screen will be playing. Later in the book, there are some brightly colored panels that will immediately catch the reader’s eyes. Volition does suffer from redundancy and is filled with many tropes. The battle between man and machine, a virus that threatens all robotic life, and even the main character will all make readers think back to other stories. While the book does not do anything wrong, it also does not do anything different. Volition is a beautiful comic that is excellently paired with engaging writing. The book does not take any risks, but is an enjoyable read. The story may be typical but the art and writing stand out. The coloring in the book is beautiful and adds to the tone. Francia's art and color are stunning.